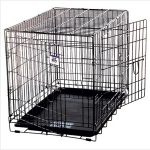 Double door wire crate. Secure latches. Rounded corners. Crate sets up in seconds and folds down for storage. Perfect for home, training and travel. Includes removable, easy to clean. 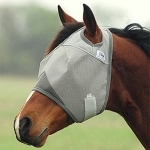 Repels house, stable, face, and horn flies. Effective for hours. 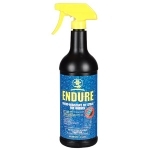 For use on horses, ponies and dogs. Contains pyrethrins, piperonyl butoxide, di-n-propyl isocinchomeronate. 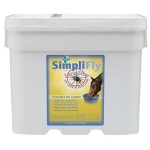 SimpliFly® with LarvaStop Fly Growth Regulator® prevents the development of stable flies and house flies in mature and treated horses. 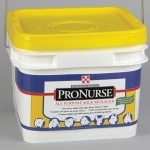 To use, feed recommended dose to each horse separately to make certain he receives full portion. 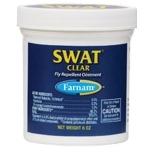 Reduces fly populations 97-100%. These economy-priced feeders are designed exclusively for the hobbyist. 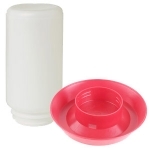 Feed saver lips minimize spillage. The 22 lb. 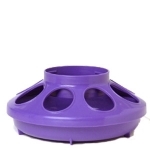 feeders feature adjustable feed levels. 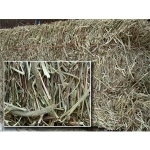 Anti-scratch vanes help prevent crowding and feed waste. 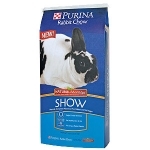 Manufacturer: Purina Model: 40 lb. 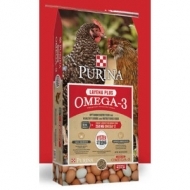 Layena® Plus Omega-3 pellets poultry feed made with whole grain. Contains no added hormones, antibiotics, animal fat or animal by-products. Just wholesome goodness for a delicious, homegrown eggs. Mazuri® Mini Pig Elder is a low-energy, high-fiber diet for porcine species that helps restrain growth rate while helping to satisfy hunger. 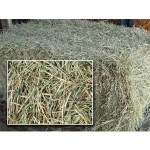 This ration can be used as a maintenance diet for adult animals that are not reproducing or lactating. This product was specially formulated to meet the needs of exotic miniature pigs, such as the Vietnamese potbellied pig. 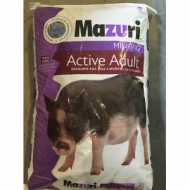 Mazuri® Mini Pig Active Adult is a moderate-energy, high-fiber diet for porcine species that helps promote moderate growth rate while helping to satisfy hunger. 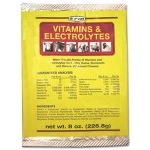 This ration can be used as a maintenance diet for active, adult animals. It can be fed in combination with Mazuri® Mini Pig Youth to gestating/lactating females. This product was specially formulated to meet the needs of exotic miniature pigs, such as the Vietnamese potbellied pig. 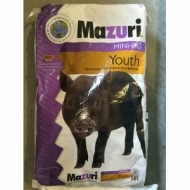 Mazuri® Mini Pig Youth is a nutritionally complete, balanced diet for porcine species that gets young animals off to a healthy start. This product was specially formulated for young pigs in collections and to meet the needs of exotic miniature pigs. 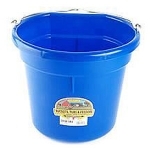 Capstar for dogs and cats 2 to 25 lbs is not a preventative and is safe to use in pregnant or breeding animals. Capstar is fast acting. 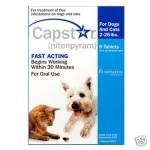 Capstar begins to kill adult fleas on the pet within 30 minutes and the effect lasts for 24 hours. 6 tablets. 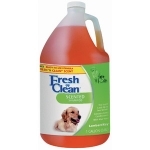 Fresh 'n Clean Scented Shampoo cleans away dirt and leaves a long-lasting original fresh and clean floral fragrance that clings to the hair for up to two weeks. Aloe vera soothes the skin and extra conditioners make the coat shiny, manageable and free of mats and tangles 18 oz. Pigeon feed. 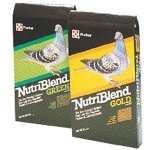 Round, green pellet, 18 percent protein, a breeder pellet. 50 lbs. Pigeon feed. 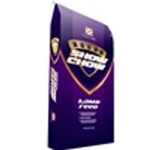 Round, golden, grain-shaped pellet diet, 16 percent protein, for conditioning or maintenance. 50 lbs. 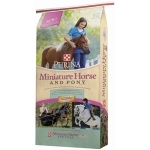 Specifically formulated to meet the unique needs of miniture horses and ponies who tend to be more metabolically efficient than large horse, but still require the nutrition necessary for growth, gestation, lactation, breeding and competition. 50 lbs. 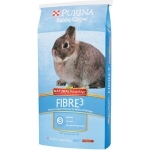 Purina® Rabbit Chow™ Fibre3® Natural AdvantEdge™ rabbit food delivers premium, quality nutrition that helps keep your rabbit looking great. That's because no other rabbit food company spends the time and effort researching like Purina. New products or improvements to existing foods are only brought to market when they have repeatedly proven themselves in research trials to deliver what you expect. 50 and 7 lbs. Timothy hay is from New York. Coastal Bermudagrass is from North Carolina. A completely balanced food specially formulated to produce shiny fur, rapid growth and excellent reproduction. This blue ribbon winning food contains added vegetable oils for superior fur quality. Constructed of heavy duty polyethylene. Base features 8 openings with ribs to minimize feed spillage. 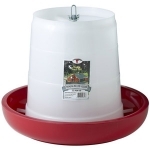 Red plastic threaded mason jar screw on base for poultry waterer.